She is passionate about education and truly believes that ALL children deserve the opportunity to be successful when given the proper individual attention and specialized instruction. ALL CHILDREN CAN LEARN BUT LEARN AT DIFFERENT RATES AND IN DIFFERENT WAYS. Beach Cities tutoring hires only highly qualified tutors to ensure student success. MOST TUTORS ARE CREDENTIALED TEACHERS. Beach Cities Tutoring will identify the students’ strengths/weaknesses in order to help the student build skills that they can apply in the classroom setting. Not only will your child learn study skills and organization skills in addition to the subject matter, Beach Cities Tutoring make learning fun as the tutors personally connect with the student. 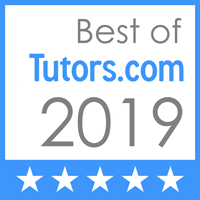 Tutors are available that have experience and training with programs such as Language!, Read Naturally, Step Up to Writing, Lindamood-Bell, Inside Algebra, Common Core, and Touchmath to meet all of your students’ needs. There is no registration fee and they will recommend the best tutor matches for you. However, you are allowed to try multiple tutors if you would like. Your child’s learning and success is most important to us so we are willing to put the time and effort into finding the best match. Beach Cities looks forward to serving you and continuing to positively impact the South Bay and Westside community! Happily Serving since 2011. How is Beach Cities Tutoring Different from other Tutoring Centers? Beach Cities Tutoring was founded by a Special Education Teacher with 15 years of public classroom experience in the South Bay. As a child, her dream was to have a positive impact on America’s youth, so opening a private tutoring company was a natural progression as she had babysat and served as a nanny in Spain and Florida, created a high school volunteer program called “Students Against Illiteracy” and finally earned her Masters and Credentials in Special Education.